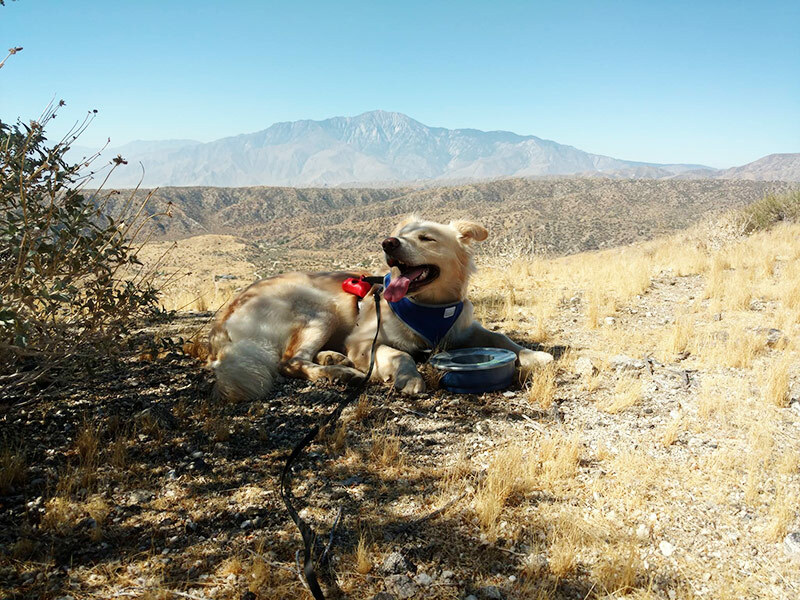 If your dog is your best hiking buddy, you won’t want to miss a chance to take his tail to the trails in Greater Palm Springs. Pack plenty of water and grab the treats – it’s time to discover the beauty of the oasis on these dog-friendly hikes. 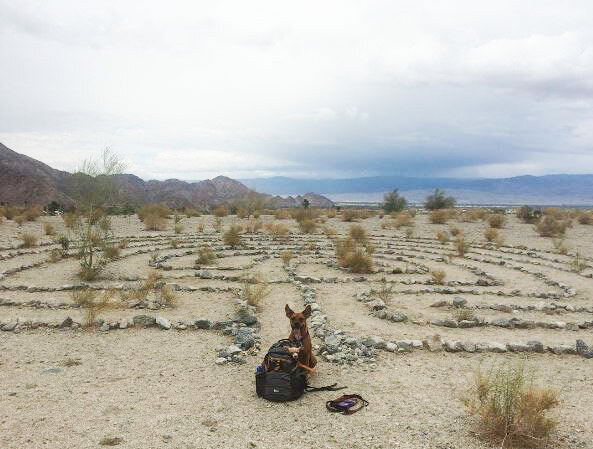 One of the more popular spots for four-legged hikers, Mission Creek Preserve offers more than 17 miles of dog-friendly trails through stunning desert scenery. Far removed from the bustle of modern life, Mission Creek Preserve lets you see the Coachella Valley’s natural side. Walk along sandy trails, see local wildlife like rabbits and roadrunners and get the perfect vacation photos in front of the historic stone buildings found throughout the preserve. Mission Creek’s namesake stream also flows all year long, so Fido can easily keep cool during your adventure. Scenic trails and sparse traffic make the Whitewater Canyon Loop Trail a great pick for a dog-friendly hike with beautiful views of the oasis. See the beauty of the San Jacinto Mountains and desert canyons on this 3.5-mile trail, where Whitewater River not only keeps the area lush but also lets you cool off with a quick splash. Take your dog up the 600-foot climb to take in some of the best views of the surrounding mountainsides. For a good workout for both you and your pup, don’t miss the Homestead Trail (also known as “The Cross Hike” to locals) in Palm Desert. Tucked inside the 27-acre Cap Homme/Ralph Adams Park, Homestead Trail is a favorite for dog- friendly hiking in Greater Palm Springs. The inclines keep dogs and their humans challenged, but the panoramic views at the top of the trail are worth it. The trail is especially popular for nighttime hiking, as you’ll get to see the Coachella Valley light up under starry skies. Even if you decide not to hike up the trail, the expansive park area at the base of the mountain offers plenty of room for dogs to sniff and explore (on leash). While this Palm Springs hiking trail measures in at just two miles, its steep inclines promise a good cardio session for you and your dog. You’ll be making your way up the mountainside behind the Palm Springs Art Museum on this dog-friendly hike, and the payoff is worth it once you see the views of Palm Springs from the top. Picnic tables give you and Fido a spot to relax and soak up the views, so don’t forget to pack snacks for both you and your pup to enjoy at the top. Another scenic option for dog-friendly hiking in Palm Springs, South Lykken Trail lets you get up-close and personal with the gorgeous mountainside backdrop of Greater Palm Springs. You’ll end up climbing just over 1,000 feet along this 4.4-mile trail, hiking alongside giant boulders and blooming desert plants. This moderate hike is a great workout for energetic dogs, and the views of Palm Springs and Tahquitz Canyon are a nice treat, too. Discover the natural beauty of La Quinta at the Cove Oasis trail network, tucked away at the top of the La Quinta Cove. Two short, flat trails take you and your four-legged hiking buddy from the parking lot to the Cove Oasis, making this one of the easier options for a quick jaunt into the desert’s beauty. Dogs are also welcome to join you on the trail between the Boo Hoff and Bear Creek trailheads but cannot go past these landmarks. Leashes are a must when exploring La Quinta Cove Oasis.